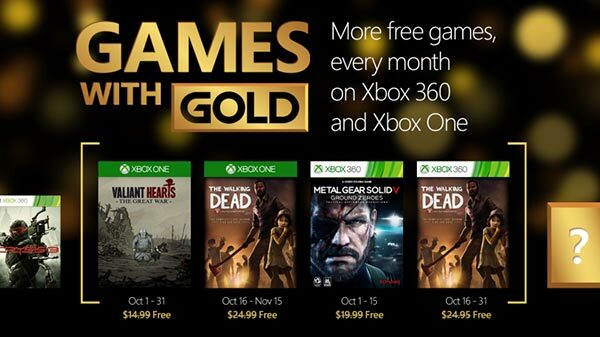 Games with Gold for October 2015 On Xbox One and Xbox 3..
Microsoft has revealed that Xbox Live Gold members will be able to download four new games for free in October on Xbox! 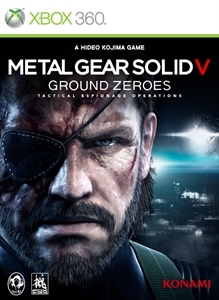 Xbox One gamers can grab two new titles: Valiant Hearts and The Walking Dead, while Xbox 360 owners get Metal Gear Solid V: Ground Zeroes and The Walking Dead. 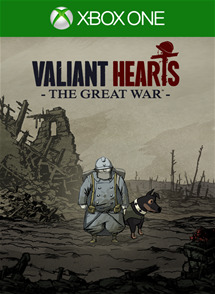 On Xbox One, Xbox Live Gold members can download Valiant Hearts: The Great War (normally $14.99 ERP) for free during the month of October. 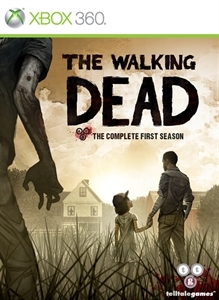 The Walking Dead: The Complete First Season (normally $24.99 ERP) will be available as a free download from October 16th to November 15th. 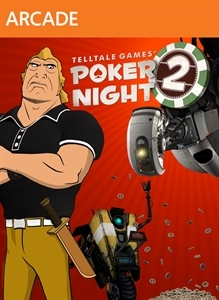 free games to keep each month. 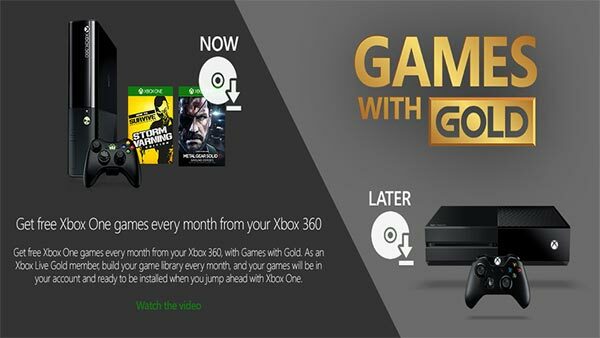 Titles are available as free downloads for qualifying Xbox Live Gold members in all markets where Xbox Live is available. Some regions may offer different titles depending on market availability. For more information on each of the games, please browse through all of our previous coverage, and don't forget to subscribe via Twitter, Google+, YouTube and Facebook for all the latest Xbox One news, upcoming Xbox One games, Xbox One Games release dates, new releases and much more. 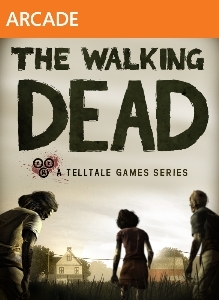 Telltale Games The Walking Dead Coming Soon to Retail in.. 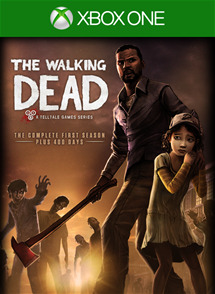 The Walking Dead Release Date Confirmed for North..